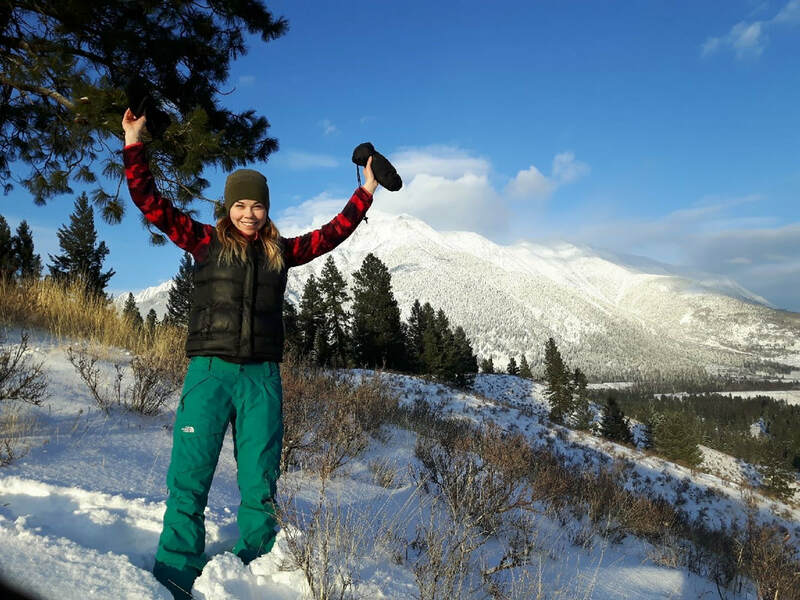 ​One of the main reasons the Kootenay Fun 5 was born was out of a desire to promote health and wellness in Cranbrook and surrounding communities. We were overwhelmed with the support and participation in our first few years. All ages, physical abilities, sizes, and stages of fitness, families, friends, siblings, and singles - everyone came out and joined in the fun. And we celebrated! What a success! This is a social community made up of people in all stages of life and health. Anyone can join! The only thing we ask is that you set a goal you wish to achieve by race day! You can challenge yourself, support a friend, motivate your whole family or get the entire office working together. Think nutrition & fitness but also be creative and most importantly - make it FUN! Below are some of the people who have set a personal goal and are promoting fitness and well-being. 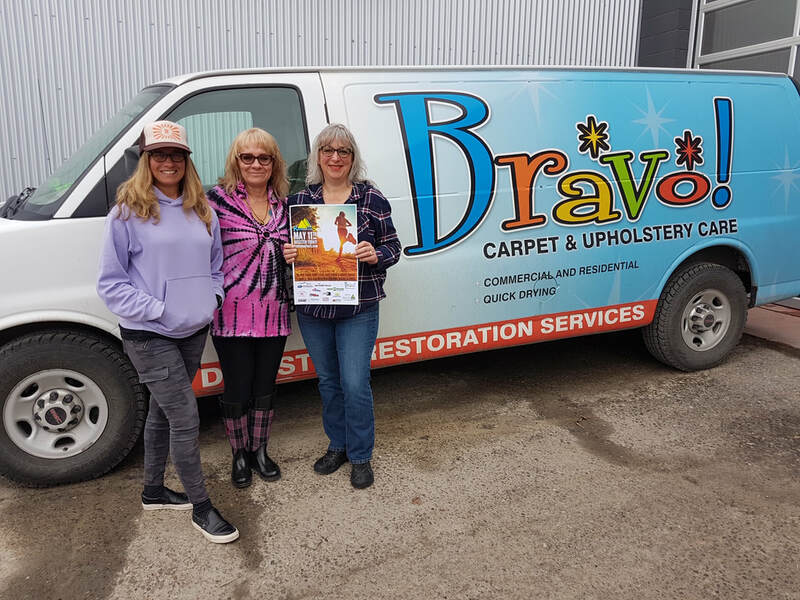 Bravo Restorations Ambassador - Wendy! Thank You for this fantastic opportunity to share my 2019 goal! 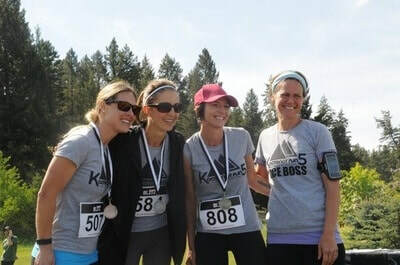 Last year was my first time participating in the Kootenay Fun 5 and I was thrilled to be supporting with our Bravo Restorations Team! I was a 'walker' last year so my goal this year is to be a runner! I am super stoked for the 6 week 'Couch to 5K' run training at the COTR track. See you all on May 11! 2019 Ambassador for Alpine Toyota - Sarah! I am a 39 year old mom of three wonderful children 17, 9 and 8. Between the kids and working full time I don’t have a lot of “me” time. But when I do, my passion is running and really just doing anything outdoors. 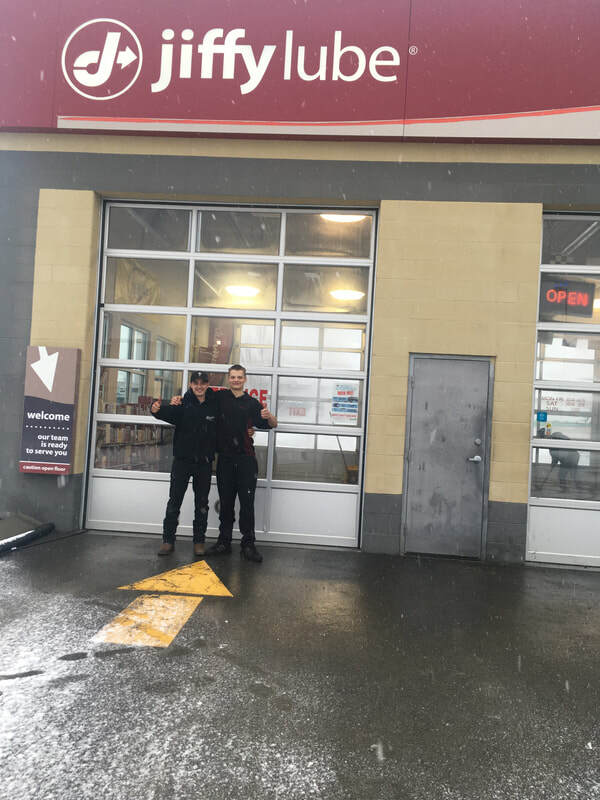 2019 Ambassador for The Drive - Jason! 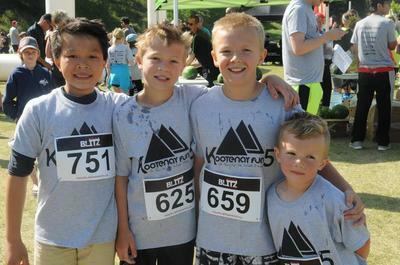 "This year's Kootenay Fun 5 for me is all about finishing, participating and competing. In 2014 I posted my best ever 5k time of 26:30. Then between just falling off the wagon and some nagging injuries, I let the weight creep back on. In 2018 I decided it was time to get on track. I jumped in too fast and did a 5k and aggravated Planters Fascitis, which I didn't know I had, and had to stop running and even walking on a treadmill. Then in September I broke my thumb which prevented me from doing weights. So I could not work out at all. December when everything was healing nicely I took on a spill on my steep driveway and I had a severe concussion from whacking my head and a severely bruised spine. I have just been given clearance to resume working out. So with only 6 weeks to the run, I will participate but my goal is just to get on track, lose 10 pounds before race day and finish. It might be by walking..but finish is the goal and be injury free. Different goals than 2014 but at this stage of my life and with the all the injuries I've battled through, it's more important than ever to get on track and stay there. See you May 11th!" 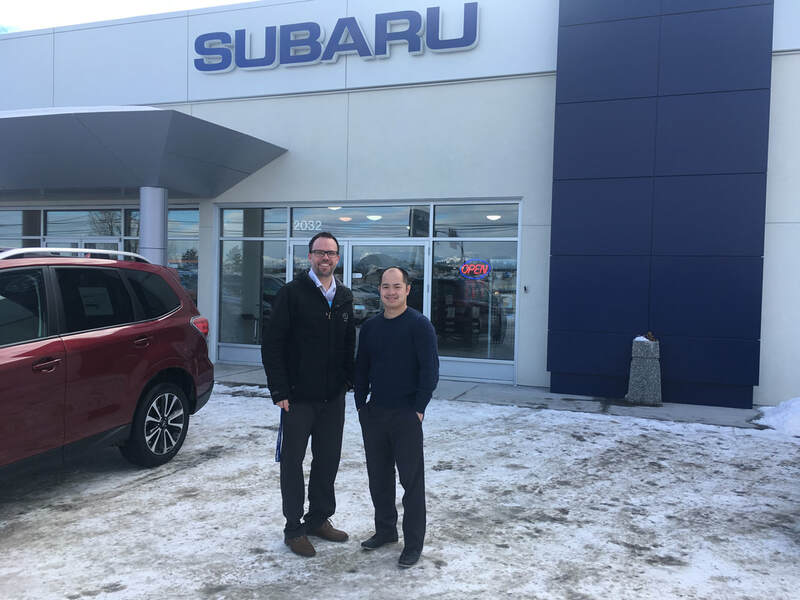 Hi, I’m Allison-Subaru of Cranbrook’s ambassador for the 2019 Kootenay Fun 5. As far back as I can remember, I’ve had a passion for health and fitness. Throughout my middle school/high school years I remained active by playing team sports. These days I train 4-5 times a week at fitness Inc. Living an active lifestyle does many things for me; I feel physically fitter, mentally fitter, and I live a life full of awesome adventures as a result of that! My goal for this years run is to achieve a 30 minute finish time…..and HAVE FUN! ​Hi, my name is Huy Nguyen, Sales manager at Subaru of Cranbrook. I moved to Cranbrook 2 years ago and have never looked back. I do a lot of sports from Hockey, Golfing, Curling, Snowboarding, you name it. Running has never been my forte, but I am going to change that. When I was a national athlete, I was able to run 5 km in about 19 minutes and recently I was running 5 km in about 28 min. A little bit off my mark when I was in my prime, but I will strive to do better. My goal for this run is 23 minutes. I will be training at CORE FITNESS to get my endurance up and stamina up to par. I am looking forward to seeing the progress in the coming months. Hello, I'm Susanne. For most of my life, running was never an option for exercise or as something to do outside. Then a very good friend of mine, who is an ultra runner (someone who races distances over 50 km at a time), asked me to be a pacer for her at The Fat Dog Ultra Marathon. She gave me over a year’s notice to prepare for my 15 km leg, while she prepared for the 120 miles (and miles is not a typo) that she would be covering. With determination, a slow, steady stride and many kilometers on the surrounding trails in our community, I succeeded with my challenge, which played a small, however important role, in helping my friend complete her goal. It was one of most memorable runs I have done to date. To this day, I continue to trail run for fitness, adventure, pleasure, to spend time with friends and my best buddy Enzo, my black lab. 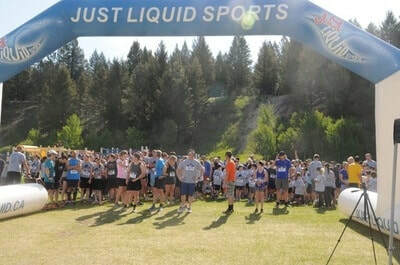 For this year’s Kootenay Fun 5, I'm hoping to cross the finish line under 30 minutes. Bryce Thompson - Kootenay Fun 5 Ambassador from our Gold Sponsor, Jiffy Lube! ​Hello! My name is Linda Green. Since the year 2000 I have been actively working at maintaining a healthy weight (always work), and a healthy lifestyle including physical activity. What I enjoy most is walking, hiking and biking. I have always wanted to do the walk/runs for various groups but they were usually held on Sundays and as a pastor I was not able to partake. 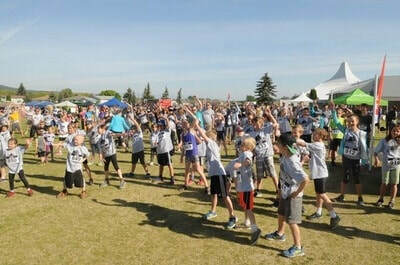 I was excited 2 years ago with the first Kootenay Fun 5 being held on a Saturday. Due to family commitments could not make it last year but I have registered with my husband and grandson for this year. I am training so I can walk with good speed and make a good time.